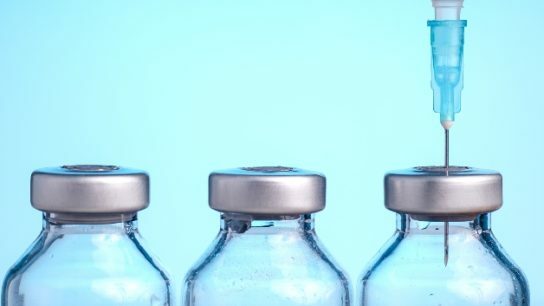 Novo Nordisk has submitted 2 New Drug Applications (NDAs) for oral semaglutide as well as a supplemental NDA (sNDA) for subcutaneous (SC) semaglutide (glucagon-like peptide-1; Ozempic). Eating red raspberries may help with glucose control in people with prediabetes. According to results from the SUSTAIN trial, the addition of semaglutide, a glucagon-like peptide-1 receptor agonist, to a sodium-glucose cotransporter-2 (SGLT-2) inhibitor therapy led to significant improvements in glycemic control, as well as weight reduction, in patients with inadequately controlled type 2 diabetes. Eli Lilly announced plans to launch an authorized generic version of Humalog (insulin lispro) 100 Units/mL at a 50% lower list price. The Food and Drug Administration (FDA) has approved an expanded indication for Soliqua 100/33 to include use as an adjunct to diet and exercise to improve glycemic control in adults with type 2 diabetes mellitus who are uncontrolled on oral antidiabetic agents, in addition to those inadequately controlled on basal insulin or lixisenatide.